There is a good reason why plants have the botanical names they are given but, for us English gardeners at least, it is sometimes a pity that some are named after eastern European or Russian botanists. If this lovely little bulb had been named after Mr. Smith I am sure we would all have it in our gardens but with the moniker of Scilla mischtschenkoana, a name that has an unnecessary surfeit of consonants, no one is going to ask for it by name. 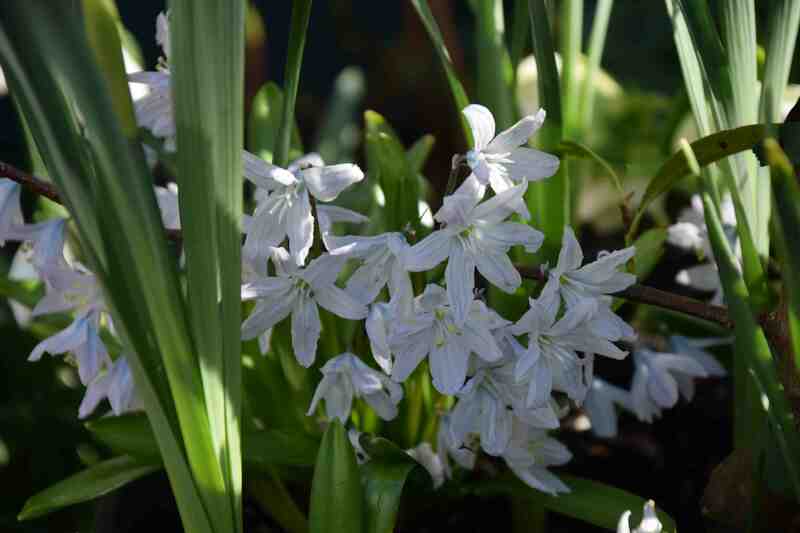 And that is a real shame because here is a small bulb that is easy to grow and produces a really showy clump in spring. 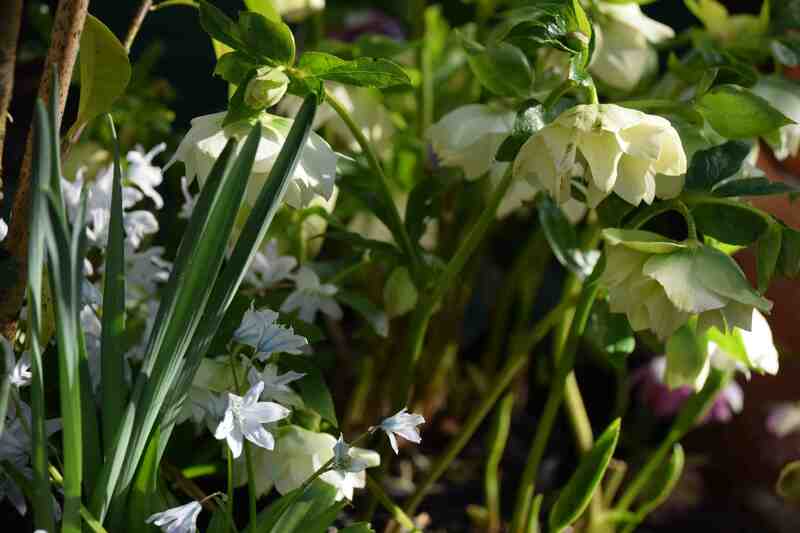 While it doesn’t have the brilliant blue of some chionodoxas and Scilla sibirica, the pale, milky blue with deeper stripes on the outside, are very pretty and each bulb sends up many slim stems with up to half a dozen blooms. So eager is it to delight us that the flowers start to open as soon as the apple green leaves have thrust through the soil. These early flowers are rather squashed between the foliage but as they grow and the leaves expand, it can reach up to 15cm high, each bulb producing a little bouquet of blooms. It is native to the Caucasus where it grows with puschkinias which are similar but have thicker filaments to the stamens, forming a cone. Scilla mischtschenkoana was introduced into cultivation in 1936 by the Dutch Tubergen nursery and is sometimes still called Scilla tubergeniana although, to confuse things further there is a cultivar of Scilla mischtschenkoana called ‘Tubergeniana’ but I don’t know how it differs from the pure species. And it is sometimes called Othocallis mischtschenkoana. Confused? Me too. Anyway we have to stick with the long Scilla mischtschenkoana. It thrives in normal garden soil in sun or part shade and the bulbs quickly increase into small clusters. In theory it should seed but it has not to any noticeable extent in my garden. It would be ideal under deciduous shrubs such as hydrangeas or, and I just thought of it, looking out at my Prunus incisa ‘Kojo-no-Mai’ under that – the pale pink and pale blue would be perfect. Is this the first of my unknown bulbs in https://derrickjknight.com/2017/03/19/a-p-maintenance/ ? Many thanks, Geoff. Will now amend with acknowledgement.